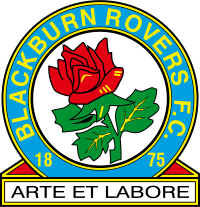 David Holdsworth is eager to counter the blow, dealt by the departure of Richard Hind, by signing Blackburn Rovers reserve Mattew Pearson following a successful trial. Matt is a big strong 18-year-old 6 foot centre-half, a natural leader and a great reader of the game. His composure belies his age and were it not for a leg fracture earlier this season, that kept him sidelined until October, he would have added to that England U18 debut – a fine 3-0 win over Poland. Posted on January 5, 2012, in 0 Who Is? Or rather who are we looking at, New signings and tagged Blackburn Rovers, Blue Square Premier, David Holdsworth, Lincoln City Football Club. Bookmark the permalink. Leave a comment.